Your little "hummer" is so cute! Beautifully colored, and such a clever design. Thanks for joining our challenge at Classy Cards 'n Such. I hope you will join us again. Oh, I like this a lot! Thanks for joining our challenge at Crafting From The Heart. Good luck in the draw too. Great color combination with this sweet image! Love the embossing too! 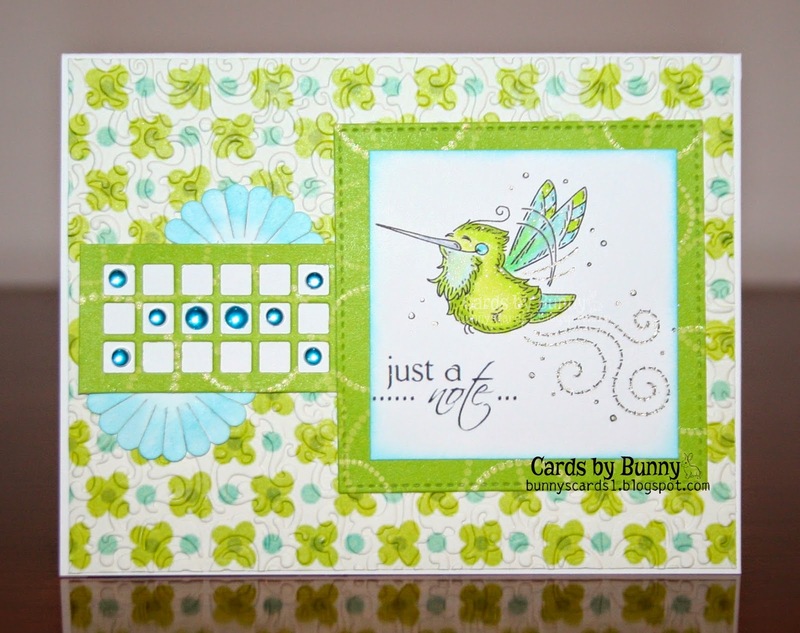 Your card is so cute and I love the happy colors you used on it. Thank you for joining us for the Classy Cards N Such challenge. I hope you will join us again this week for the Red, White and Blue challenge. Have a great day. The fresh colours suit this lively image well.Love all the sparkle and texture.Thanks for joining us at Crafty Sentiments.Hope to see you again next week. Great card. I love the image and your choice colors and how you used them. Lovely. Thanks for joining us at Card Mania Challendges.